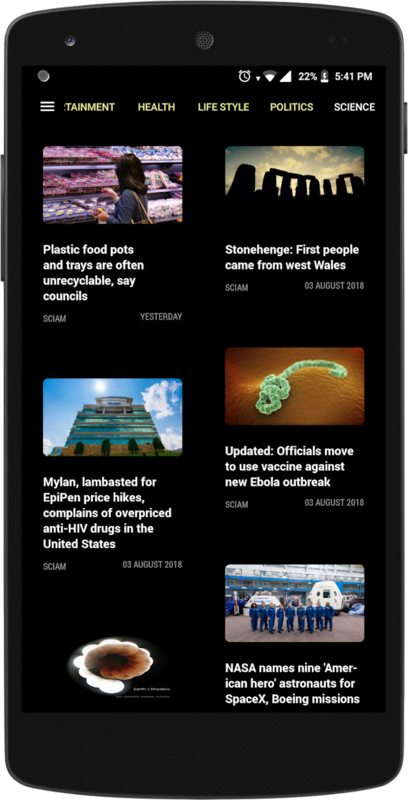 Download our free news app and get instant news from popular news channels instantly. Please download and leave your valuable feedback as well. Why you will download this app? 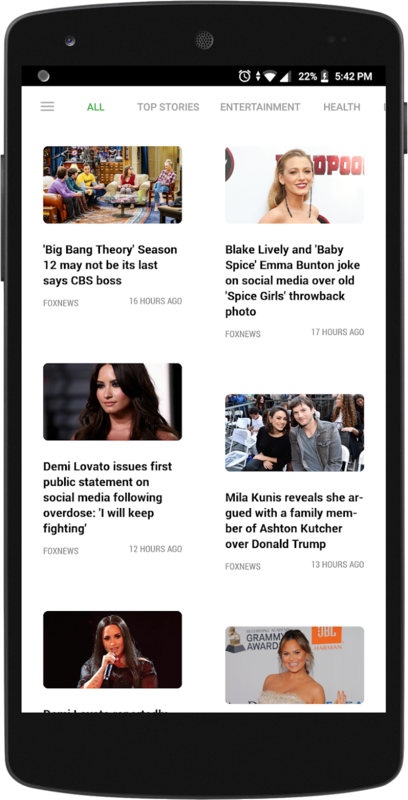 Incorporates news from all famous news channels. No intruding ads or notifications. Download the app and get the latest news in your fingertips. 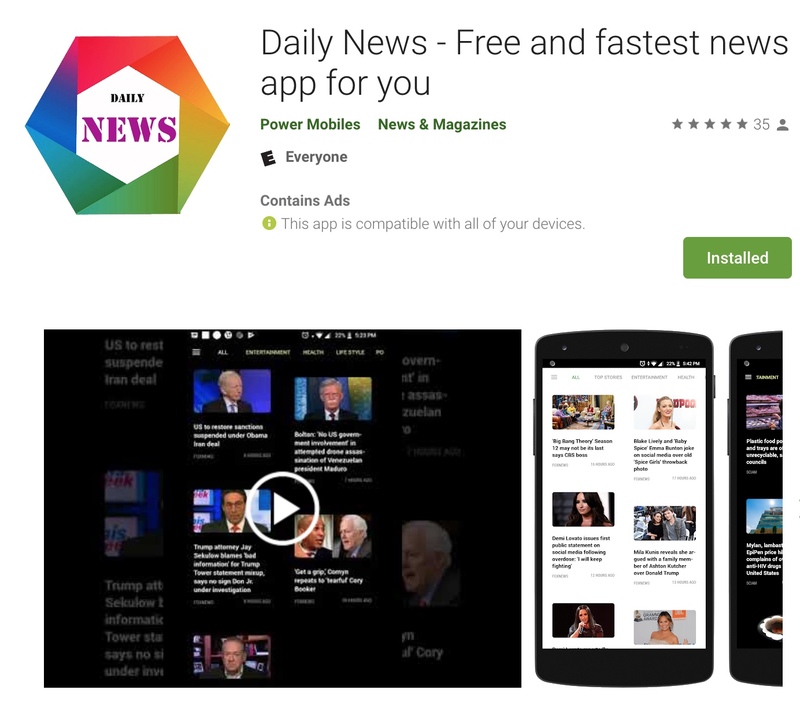 Daily news is a mobile application which will provide in one place all the breaking news and updates. It brings you all the latest , most essential news and images from India and all over the world. With enhanced speed and simplicity Daily News is the best reader available now. The app loads fast and offer a simple and clean reading experience which will make your eyes happy. It delivers a more evolved experience for reviewing updates from across the world. It provides latest news and updates from leading news channels such as CNN ,BBC , NY TIMES , REUTERS ,FOCX NEWS, CNBC ,NDTV ,ESPN CRIC INFO etc. For getting more comfort it is divided into various categories such as Entertainment , Health , Life Style , Politics , Science , Sports , Technology , Travel , Business etc. 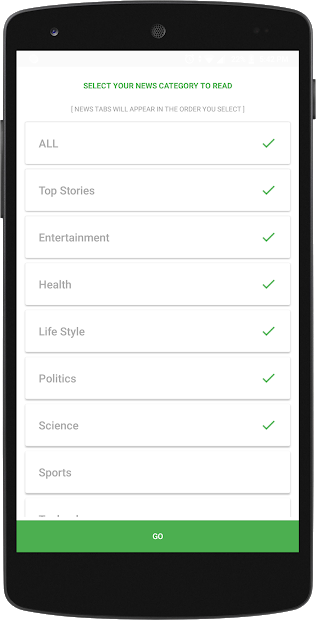 This app asks you to select the categories of news you would be interested and delivers suggestions and notifications accordingly. It delivers timeless wisdom and let users share these updates to others. Moreover it also offers light and dark theme options for your convenience. Because of utilizing modern technology it supplying high number of content in less time.